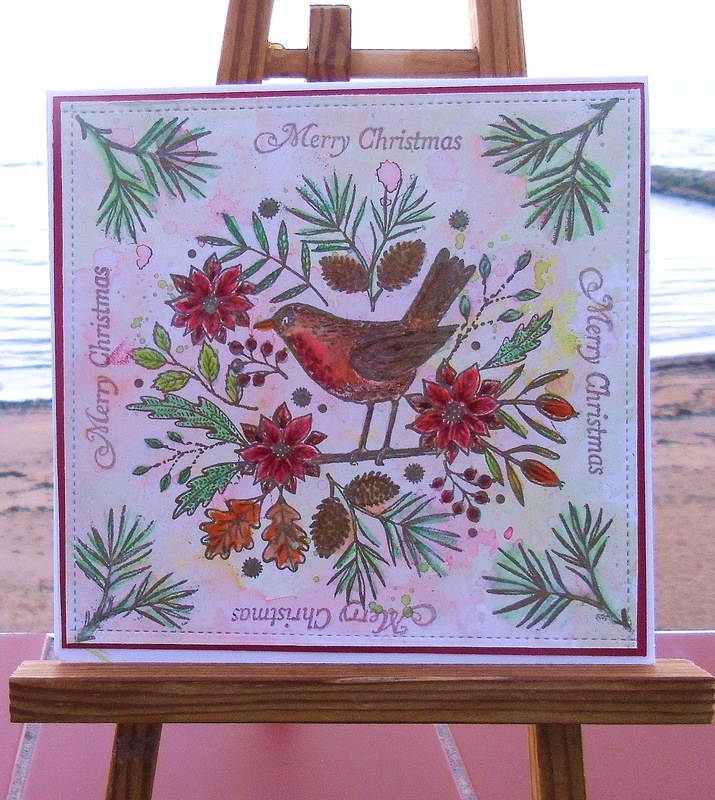 I love how you have combined the poinsettia with the robin. It's a lovely card and beautifully coloured. Hugs Mrs A. Such a pretty card and beautiful stamping. A beautiful card Sylvie, such a lovely stamp.